Countries around the world are racing to make their cities smarter, more sustainable and more livable, and India is deeply invested in these goals. In 2014, the Indian government pledged a mission to achieve 100 smart cities, unveiling several “smart” plans, including a redevelopment of the Bhendi Bazar, a bustling market in the city of Mumbai. The plan is ambitious and attractive: 3-5 story buildings will be replaced by towers some 40-60 stories tall, in order to increase density while decreasing sprawl, a strategy that has become known as “vertical with a vengeance”. However, using an extended urban metabolism model, which measures how the built environment will be impacted, researchers at the University of Lincoln in the United Kingdom have determined that the proposed project is neither smart nor sustainable. Researchers obtained the project plans and gathered information from both primary and secondary sources, and upon completing both physical and mathematical models, they concluded that while there would be a population increase of only about 25%, there would be severe corresponding environmental effects. Water consumption and waste water production per capita would increase by 155%, while rainwater harvesting will reduce to less than half of what it is due to smaller roof areas. Electricity consumption will increase by 30% in residential areas and a whopping 226% in commercial areas. Due to the increase in electricity consumption, carbon dioxide emissions will increase by 43% per capita, and emissions from transport will increase by176%, as more people means more cars. These conclusions are surprising, as they have arisen from a city development plan that’s sole mission is to make the city smarter and more sustainable. 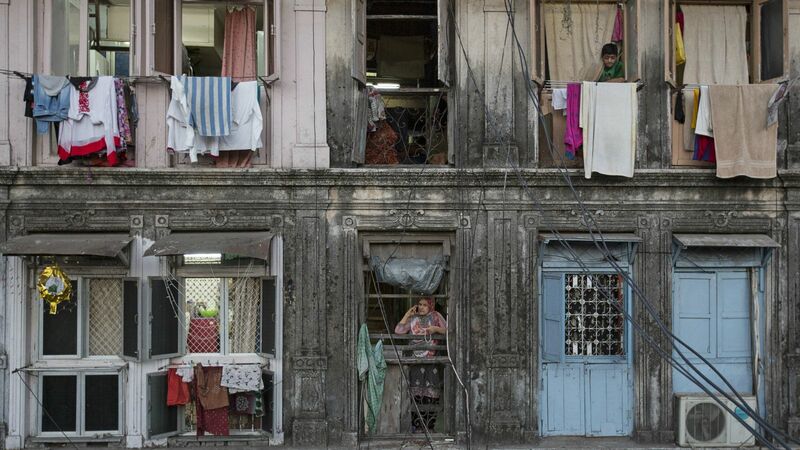 As a city that already faces challenges in sanitation, electricity, housing and population density, Mumbai cannot afford a project that gives up more than it gains. As cities fight urban sprawl with plans to go vertical, there will be a greater dependence on centralized electricity, water and sanitation, all of which are already challenges for cities and intimidating roadblocks on the way to sustainability. Vertical urban expansion and high density development have become buzz words in recent years in discussions around sustainable development and increasing urban growth. Many studies tout the benefits or high-density development strategies in terms of reducing a city’s ecological footprint and minimizing congestion caused by sprawl. However, this article is a good reminder that all urban projects and policies must be approached critically and evaluated based on their specific context. In many cases, vertical planning may not be the most effective strategy for reducing environmental impacts, nor for increasing inclusion. For instance, in many informal settlements, residents’ economic livelihoods depend upon small shops and markets that they run out of their home fronts, and high-density, vertical slum upgrading projects can have negative consequences for the social and economic wellbeing of communities, as has been seen through the Kibera Soweto-East slum upgrading project in Nairobi. This is not to say that vertical growth strategies are never the right choice-however, it is imperative that urban planners, local governments, and researchers work together at the beginning of project plans to ensure that a project’s objectives are indeed reachable. Dialogue between all sectors of society and tools like the urban metabolism model can bring urban planners and local governments closer and closer to creating cities that are sustainable, cost-effective, and inclusive. Read the full article here and the full report here. Want more urban features? Sign up for our newsletter to get a new piece each week!